Home EDUCATION Abdallah Kitatta to be Charged by the Army, here is WHY? Abdallah Kitatta to be Charged by the Army, here is WHY? 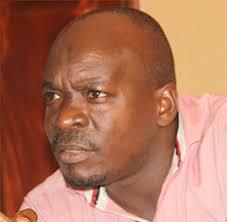 NRM Lubaga Division Chairperson and founder of Bodaboda 2010 , a group which regulates Bodaboda riders and activities Abdallah Kitatta who was arrested two weeks ago with other members at their offices in Makindye and his other members will be charged and sentenced by the court Martial according to a statement issued by Lt. Col Deo Akiiki on behalf of the Army spokesperson. According to the Force’s spokesperson, according to items found at Kitatta’s place are of Chief of Military Intelligence (CMI) jurisdiction and the police have nothing to do with his file and judgment. Among items found at Bodaboda 2010 include guns, 2 pistols, over 30 bullets and several pangas which are believed to have been used in different criminal activities including the murder of Case clinic accountant Francis Ekalungar. Kayima further explained that when one files a case of assault, they out to provide evidence that can be done by providing medical form and other related documents. If there are no documents to prove that you were beaten the case may not proceed. He insisted that some cases involving illegal use of fire arms, army attires are cases answerable to the Court Martial and not normal courts. READ But Who Is Professor Barnabas Nawangwe? “We are progressing very well in regards to the murder of Ekalungar. We have eight suspects and their case file has been submitted to the DPP for perusal after which he will guide on the next course of the case”. The eight suspects include Mulema Hamza, Ekyandiya Vincent, David Binzimani among others. About 18 suspects who were arrested relating to the murder of Ekalungar have been released out of the 40 suspects who were arrested in total. Previous articleAziz Azion Shuts Club Liquid Silk Unplugged!